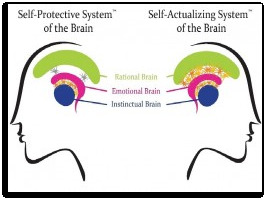 This webinar introduces, in easy to understand language, the evolution of the brain and the triune brain theory and a key component of the SSPS: the Self-Protective & Self-Actualizing Systems of the brain. You will learn how the brain develops during childhood and into adulthood, and the circumstances that cause its development to stall. It also provides information about what happebs when we live in our Self-Protective System, activators of the Self-Protective System, and how to strengthen our Self-Actualizing System.